Major James was born. I still can’t believe it’s been a week since the (other) best day of my life. I’ve been waiting for a quiet moment to write his Birth Story, but wanted to do it as quickly as possible, since I learned from my postpartum with Marlowe that the further it gets from you the hazier your memory becomes. And I can honestly say that I want to remember this experience forever– every single intense, life-affirming moment. I’m sharing the story of his birth and some photographs (WARNING: I know birth photos aren’t everyone’s cup of tea) because it was such a loving, joyful, challenging, and life-changing experience and I think that normalizing birth and the staggering beauty of it can only be a good thing. A note on the below: This is my story. These are my choices. I know that other people have other stories and make other choices, and I’m totally fine with that. Are you? I’m all for a healthy conversation about Home Birth or birth in general, but the place to have that is not below. This piece of writing is for Major, our son, to commemorate his entrance in to the world. Keep it positive, please. It’s not normally my practice, but all negative comments will be either screened or deleted, promptly and with relish. I like to think that Major’s birth story really started the night before. As most of you know who have been following my blog throughout the pregnancy, I was totally SHOCKED that he didn’t come early like his big sister! By the time I was just a few days before my due date, I was getting worried that he may never come or that I would end up with an induction. Not because that’s what logically follows when you are getting close to your due date, but because it had been so difficult for me to separate my pregnancy and birth with Marlowe from my pregnancy and birth with Major. It had been so hard to really designate them in my mind as two different experiences, and my children as two different people. Major just wasn’t deciding to meet us yet, and I was frustrated. But I really hadn’t stopped to think if there was anything emotional holding up the process. Birth is such an emotional thing. The two are very closely linked, as I had learned during my first labor (more on that later) and sometimes how you’re feeling can get in the way of what your body knows how to do. The night before Major was born, the atmosphere in the house was emotionally dissonant. Kyle and I were kind of snapping at each other, both exhausted, and things were just feeling very tense between us and in the air in general. As we got ready for bed I felt like I wanted to cry. There were so many emotions coursing through me (and SO many hormones) and the truth of the matter was that I just wasn’t feeling close to my husband. I felt like we were two ships passing in the night, and as anybody who has gone through labor will tell you– that is NOT the type of feeling you want to have as you prepare to welcome a baby with someone. In bed, we finally hashed things out. It turned out that we both had stresses and feelings about everything that was about to happen, and we really hadn’t talked about them. We were both feeling anxious and we needed to get on the same page. After talking through it all for a while, and some tears (mine, as per usual), things felt so much better. We were finally understanding each other. I hugged my husband and felt truly connected with him for the first time in probably weeks. Kyle put Marlowe’s jacket on to leave, and my stomach did a somersault. I felt tears spring to my eyes. I had imagined this moment a million times– the one where I would look at my daughter and know that the next time I saw her things would be different, changed. I didn’t want to speak for fear that I would start sobbing and never stop, so I knelt down and took her face in my hands. I put my forehead against hers, kissed both her cheeks and wrapped her in my arms. I whispered, “I love you” in her ear, just once, and stood before she saw my tears. “Bye Mama! Have a good day!” she called to me as she hopped up in to the car. I watched them drive away. I let myself fall apart for a few minutes, and then I got right down to business. I packed an overnight bag for Lowie (you never know how long labor will take! ), I made some Laborade, and I got my camera ready and fully charged. I took a picture of myself in the mirror, just as I had done at the start of my labor with Marlowe. Then, I went upstairs to make our bed with a waterproof sheet, and a set of cheap sheets on top. I put some plastic we had bought around the upholstered parts of our bed, and rolled up our rug to protect it. I texted my Doula and Midwives to let them know that I suspected that I was in early labor. By now my contractions were definitely building as the waves that I remember, but were still pretty mild. Kind of like bad period cramps. I hadn’t been timing them yet, but they felt about fifteen minutes apart. Now that I had made peace with the fact that this kid was coming today, I had to make sure he would actually come today. So many women get labor “warm ups” and I wanted to make sure we were prepping for the main event. I remembered my midwives telling me that a gentle way to make sure your labor progresses is to get outside, breathe some fresh air, and let your body feel the natural rhythms of nature. I put my slippers on and went out to the yard. I started slowly walking in big circles with my arms resting on my belly. I thought a lot then about people I love who have passed away recently, and also about the generations of women who have come before me in my family. All of that strong Mama birthing energy of all those different women who made it so I was standing there, in a yard in Connecticut, with my son getting ready to exit me. I stopped for a moment to look up at the clouds and ask for all of their blessings for our son’s birth and for their help to get me through it. I’ve found childbirth to be so unique in its ability to completely humble you while also completely empowering you. It reduces you to your essence and strips you of every pretense. It reminds you that you are no better than all the women who have come before you, but also no worse. You are just one of them, doing something that women have done since the beginning of everything, and just like them you will somehow get through it. With this reminder, I called my midwives. I had been timing my contractions and they were now 8 minutes apart, lasting 45 seconds. I told them how I was feeling, and we agreed that they would leave soon and plan to arrive at my house between 11 and 12. I texted my Doula to head over. Kyle got home, and went upstairs to fill the birthing tub. I got on our bed. As I lay there and rode through my contractions, all my fears began to come to the surface. My last labor had been an extremely challenging thirty six hours, and had taken every last ounce of my strength. My Los Angeles midwives had switched up the midwife on duty at the last minute and had left me with somebody who I had only met once, in passing. 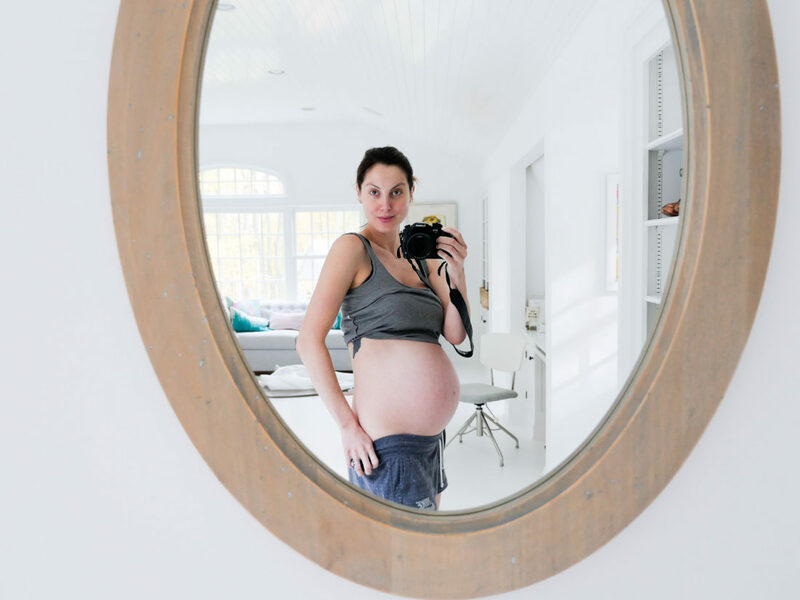 While I am grateful for my positive outcome with Marlowe, looking back now I know that my long, anxious labor had so much to do with my discomfort with my birthing situation and my inability to let go and allow my daughter’s process to take over. Fear. My entire pregnancy with Major, I was nervous about enduring another long labor– as a tired Mama to a rambunctious toddler, would I have the stamina to get through it? What if I couldn’t? What if I wasn’t strong enough this time? I thought about Marlowe and my mind went to a dark place– what if I died today, bringing her brother in to the world? How would she grow up without a Mother? Would she even remember the time we had spent together or how much I had loved her? I started to cry, I was so overwhelmed. I called Kyle over and asked him to lay with me. For several contractions, he held me, rubbing deeply in to my lower back as the waves of contractions passed over me. As a wave began to build, I would roll over on to all fours on the bed, swaying my hips while he massaged me. “You’re safe,” he kept telling me. “You’re doing this. You’re so good at this.” If there is one thing I am so thankful for, it’s that I have somehow found myself a true partner– Kyle was amazing at Marlowe’s birth, but now during this second round, I noticed with newfound appreciation how calm he is, and how steady his confidence was in the process and in me. He had held me as I pushed our daughter in to the world, and now he was my comfort object again as we got ready to welcome our son. I had been timing my contractions with an app on my phone. I looked down to see the average of the past five, and realized that they were now a minute long and about five minutes apart. All of a sudden, they became much more intense. My doula had arrived by then, and took over massaging my lower back while Kyle finished filling the tub. With every new contraction, I could feel them getting stronger and working to bring Major down in to my pelvis. In between contractions, I rested in Child’s Pose, and took sips of Laborade. I asked for a snack, and my doula brought up Yogurt. I wanted to make sure I was strong in case the labor took longer than I anticipated. I took a few bites of yogurt, and felt a super strong contraction coming on. I called to Kyle to come hold me. He pressed down on my hips and led me through the contraction. As soon as it passed, I felt a huge wave of nausea. “Grab the bag!” I yelled. During my labor with Marlowe, I had puked about 8 times all over the place as my cervix expanded (when your cervix opens it can release lots of hormones which can make you nauseous) and so I was prepared! Ha! He grabbed a garbage bag nearby and I threw up like crazy. I remembered from my last labor how every time I puked my cervix had opened significantly, and I knew that I was dilating quickly. As if on cue, another contraction came over me, and almost knocked the breath out of me. Without even thinking to, I screamed to Kyle “Call the midwives! NOW!” The midwives had been coming from an hour away and were due any moment. He went to call them just as they were coming up the driveway. “Hi Mama,” my midwife said, smiling, as she walked through the doorway to our bedroom. “You’re having a baby this afternoon.” Just seeing her calmed me down immediately. Both of my midwives have the greatest, most soothing, maternal energy. She came over and gave me a big hug and kiss and asked how I was feeling. “Like I want this baby out of me,” I replied. Charming as ever!! LOL. Just then another contraction came over me, and she checked his heartbeat as I rode the wave. He was doing great. She checked my blood pressure and pulse after I was done with the contraction, and I was also doing great! I begged her to check my cervix. After my long labor last time, I was desperate to know how dilated I was. I just felt like the contractions were so intense that I needed to know we were well on our way– that this wouldn’t last forever. She checked me. “You are eight centimeters.” Kyle told me later that he doesn’t think he’s ever seen me smile so big in all the years we’ve known each other. So there you go, Major! That’s all you, buddy! Haha. After hearing that my labor was progressing so quickly, I got a burst of energy. It’s as if my fears got totally swept away, and I realized for the first time that this was a different birth, a different experience, and a different baby. I looked out at the gorgeous, sunny day. Kyle had opened a window next to the bed to let some fresh air in, and a breeze blew through on my face. I was ready to do this. For the next hour, the most intense contractions I’ve ever felt rocked my body. Kyle, my Doula, and the Midwives all took turns holding me and encouraging me. Every time the waves would come, I would lift up on to my hands and knees and let out deep guttural moans, rocking back and forth. My Midwife kept reminding me to keep the sounds low and grounded. Kyle kept telling me to think the word “Yes” as I rode the waves of my body opening and releasing, to accept this openness and to call Major down. “Come On, Major!” I cried as I pushed my head in to the pillow. I began to get the urge to bear down. Without even thinking about it, during the peak of my contractions I felt my body pushing and opening. In between the waves, I noticed on the periphery the midwives getting rubber gloves on and gathering supplies. I knew what was coming. Kyle got to the side of me, and with the next contraction I felt my perineum stretching like fire and so much pressure. “Wow! Eva! He is still in his water sack! Feel this!” As I rested between contractions, (rested is an overstatement when your kid’s head is crowning and just hanging out like that) my Midwife guided my hand to feel the top of his head. There he was, still inside his squishy, warm water sack! Just then, another strong contraction came over me. I felt his head pop out. They kind of pulled on it a bit I could feel some tugging. “Okay, now push Eva. Push his shoulders out. Nice and steady.” With my next contraction, I pushed with all my might and felt him slip out. And then the gush of water as his sack finally opened. I stood up on my knees and they passed our son in to my arms! I looked down. He was so warm and perfect– and BIG! His hands were huge! His fingers so long! And tons of dark hair. I felt so much joy, and so so so much relief in that moment. They guided me to hold him with his head down so any fluid could drain out of his mouth and nose. I felt invincible. Every color seemed brighter in the room, every feeling I had was vibrating like magic. I turned to Kyle, laughing. He was grinning so big, lighting up the room. We kissed and I felt the love of the whole universe. I don’t think I’ve ever felt so powerful in my life. I lay back and put our son on my chest, they wrapped a towel around him. The room was buzzing with joy. The midwives could stop talking about his “en caul” delivery! I had heard of it before– its auspicious significance. The Midwife’s assistant came to the bedside and asked if I had seen the ladybug. “What Ladybug?” I asked her. “Right as you were pushing him out, a ladybug flew through the window and was crawling on your arms. I tried brushing it off but it kept coming back to you.” I mean!! How many signs do you need?! This was truly a blessed experience. I thought to all the ancestors and loved ones I had called on as my labor had begun and silently thanked them for this gift. I looked down at Major. His eyes were open and he was staring up at me. I thought about my miscarriage and the child we had lost, the pain we had endured as a family. In that moment, as our son gazed at me, I realized that everything– all the pain and the heartache– had brought us to this moment and had brought us him. I understood finally that this was the child that was meant for me to hold in my arms and to raise. I understood that my sweet, deep and internal relationship with the baby who I held only briefly inside me had had its own purpose– and that we had lived a lifetime together in those nine short weeks. Finally, finally, finally, I trusted the journey and the process and the Universe. I was healed. For the first time in a year and a half, it felt ok to just be deliriously happy. And so I was. All in all, my labor lasted five hours. A lot happened after, of course. We examined me, examined Major, and gave him a full physical and his vitamin K shot. They helped me take a shower and put on clean, comfy clothes. The vibe in the room was so relaxed and cheerful. The sun was still shining through the windows and we were all rehashing the birth like we used to rehash a great college party the morning after. We laughed a lot, going over the details, joking about it all. Like, for example, how Kyle had spent almost two hours filling up a huge birthing tub with warm water and I had never even stepped one toe in to it. Funny, right Kyle? LOL. Here I was, lying in my bedroom with a tribe of amazing women, my beloved husband, and a fresh-outta-the-oven baby boy who I already loved fiercely. He was doing great, I was doing great, and our family was complete. During my pregnancy, I had so many fears and trepidations– so many bouts of anxiety, worries about how I was feeling, if I was feeling the right things, or how my feelings were affecting my family and myself. I wondered often if I was enough to birth and parent a second child– strong enough, good enough, loving enough. What I learned from my son’s birth is that fearing the future is normal, but a waste of time. The very thing I had feared turned out to be one of the most beautiful experiences I’ve ever had– so perfect in all the ways I needed it to be. I’m forever grateful to everyone around me who pushed me up the hill these past ten months, encouraging me, loving me, listening to me, and assuring me that everything would work out in the end. I am so grateful to them, and to my body, for sticking with me and by me– for being enough in all ways to bring my son to me. Finally. Finally. Finally. Congratulations on the birth of your beautiful baby, enjoy every moment.What did your little girl say when she came home and saw her new brother? Congratulations on your baby boy! Thank you for sharing your birth story, I had chicken skin and watery eyes while reading it. I am a mom of 3 and I wish I could remember the details of my labor and deliveries like that. (I do have photos though) This truly is something so beautiful you have documented for your children!Wishing you and your family a lifetime of Love, good health and many many more beautiful stories together! Who was taking these photos for you? And are you planning on having any more children? What an exquisitely written post. My eyes welled up so much reading this and thank you for including such powerful photos. Congratulations to you and your beautiful family and a big welcome to Baby Major! I don’t have any children yet as I’m only 26, but my partner and I talk about it a lot, and I honestly feel that when the day comes for me, I will be just as strong as you have been. Well done, you are an incredible woman and Mumma! Eva, que lindo blog!!! lleno de sinceridad, generosidad, dulzura y empatía. Leo todas tus historias, aún cuando no soy mamá ( me muero de ganas de serlo pero ahora mismo no tengo ni siquiera un compañero). Gracias, de todo corazón, estoy segura de que si alguna vez cuento con la dicha de ser madre me habrás iluminado mucho el camino. Un abrazo enorme y felicitaciones por ese bebe tan perfecto, por tu familia y mi admiración total por ti. Brillas mujer! Congratulations! And thank you for sharing this beautiful, strong story. I have a relative in Amsterdam about to give birth any moment now and I can honestly say that sending goodvibes and eagerly anticipating news didn’t feel any different with you than with my own family and we were overjoyed when your announcement flew in. Thank you for that, I think it’s wonderful the way you make us all feel more connected. And although fully supporting you ofcourse in taking all the time in the world for your family we have missed your writing! What a powerful read this birthstory is and the photograph of you and your husband grinning at eachother is one of the strongest most beautiful images i think i’ve ever seen. Welcome Major James Martino! And heaps of love from this side of the world to you, Kyle and Marlowe! Such a nice memory to have written out. Beautiful story. Tears in my eyes. Congratulations! He is a beautiful boy. Welcome to the world Major James Martino! You are one lucky boy….you have been born into a great family full of love, laughter and happiness. 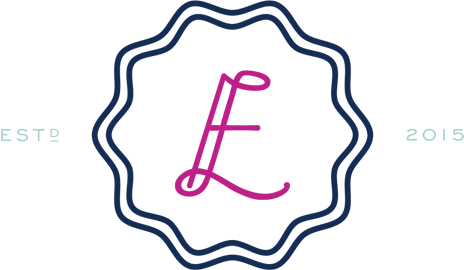 Eva, Kyle and Lowie…you guys ROCKED IT at becoming a family of three to a family of four. Eva, you never cease to amaze me with your courage, honesty and grace. Sending love to all! Thank you for sharing your beautiful story. I also have fear and anxiety about future pregnancies based off my first. Thank you for always being open and honest. Your family is beautiful and you are all so lucky to have each other. What a beautiful story! I have tears in my eyes. You are so fortunate to have been able to have and afford the exact birth experience you wanted and it was a beautiful one. I am so happy for you and that it all went smoothly. Welcome to the world sweet boy! 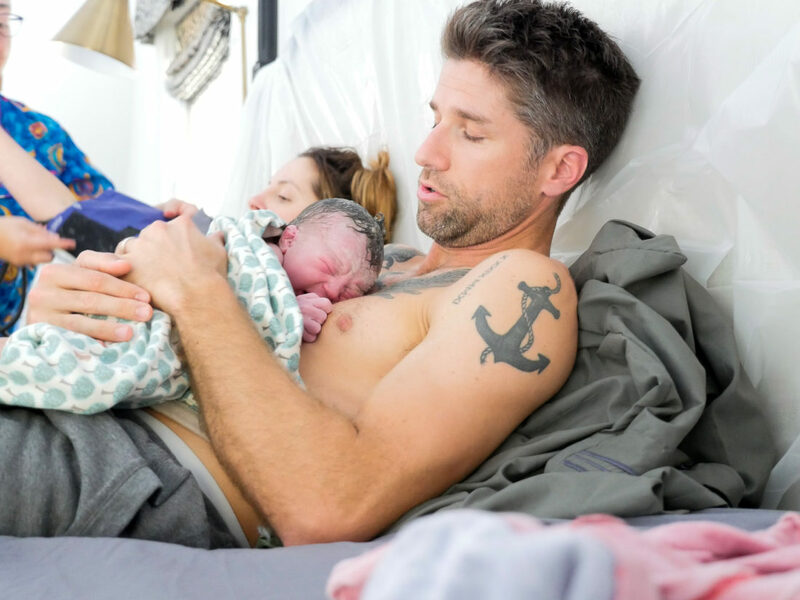 Such an amazing and heartwarming birth story Eva! I’m so glad it was such a healing and happy process for you and that you have truly found someone remarkable in Kyle. Congratulations once again to your beautiful family ? Oh you know, just reading this and weeping. First off congratulations to you and your family (now of 4!). What a beautifully written, honest, love filled story. I mean, my goodness. I am 25 weeks with my first and full of sheer terror about the birth part and I know I will come back to this in the next 15 weeks as a sense of calm and what to expect and immensely appreciate you sharing this with your readers. I can’t even begin to explain the appreciation I have for this post. I know all birth stories are different, even for siblings, but I really appreciate having something recent, raw and honest to read. Your babies are lucky that they have such a warrior mama who loves them so much. I couldn’t wait to read this and it went above and beyond what I though you would share. Hope you, Major, Marlowe and Kyle are doing well and snuggling. Lots of love to you all during such an amazing time!!! Thank you times a zillion. Congratulations! What a beautiful, perfect boy and birth story! Your undeniable joy is so heartwarming and encouraging. Thank you for your unfiltered honesty; You’ll never know how much your words have normalized the complicated emotions that women (and myself) have felt. Your truth has been so meaningful and I’m very grateful for it. I wish you many, many well deserved blessings! Thanks so much for sharing this, Eva. What a beautiful moment for you and your little family! Couldn’t be happier for you all! Congratulations! He just beautiful and you did an amazing job!!! How is Marlowe dealing with her new sibling? What a beautiful story! My heart was racing and then I laughed at Kyle filling the tub that was never used. Can’t wait to hear Lowie’s reaction to meeting Major. Best to you and your awesome family. He’s oh so handsome. Such a touching, beautiful story. Congratulations on the birth of your beautiful baby boy! One of the most beautiful things I’ve read! Holy tears. I had to stop half way through bc I was crying so hard. Such an inspiring story. I already texted my husband to tell him I need one more. I can feel my eggs drop as I type! What a wonderful birth story! Thanks for sharing. Oh Eva. So many emotions reading this post. So many tears. I am so incredibly happy for you guys and so happy your birth experience with Major was so beautiful and magical especially everything you’ve been through since last year. You can feel the joy and love radiating through the photos. Thank you for sharing so openly and helping me feel more positive about our baby’s coming birth. Love you!! Congrats Eva! What a blessed story! Thank you for sharing and always being a brave mama role model. Wonderful! I struggled to read the last paragraph…I had tears in my eyes! That was utterly blissful ❤️ A Major Joy to read! I can almost hear you glowing. 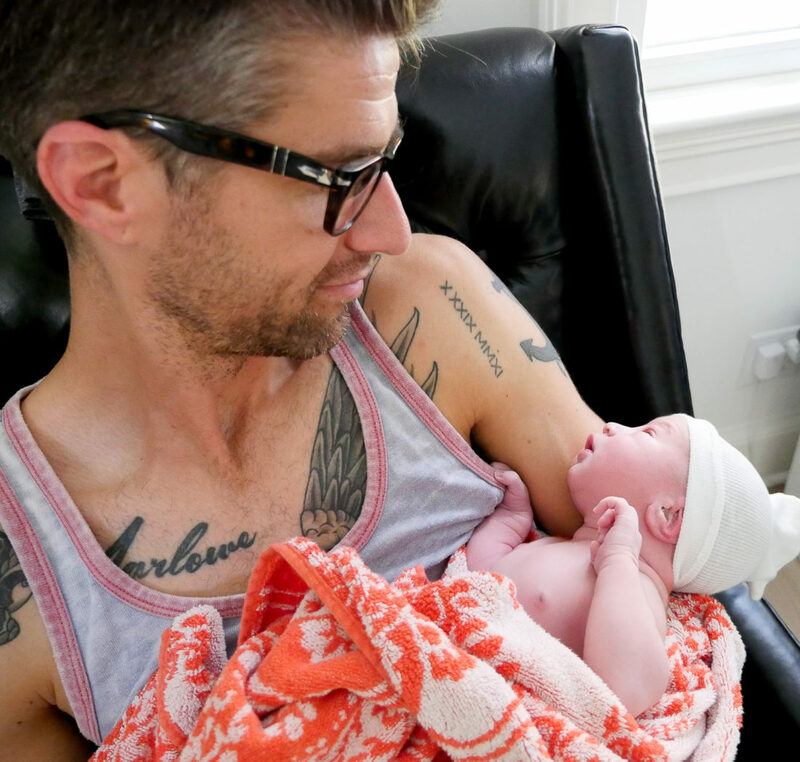 I absolutely love this birth story and I’m so very happy for you and your family. I especially adore the picture of you and Kyle right after Major was born where you are looking into each others eyes with huge smiles. Such love! Congratulations and blessings to all! Honest and beautiful as always. Just beautiful – congratulations! Such a sweet story. Kissing Marlowe on the head. She will love reading this when she gets older as will Major. Congrats! What a wonderful gift it is that your son can one day read about his special entrance into the world. I’m so happy I’ve found your blog…much love to you and your beautiful family. This brought tears to my eyes! I am not a mother myself, never even wanted to be one, but this! They way you described your experience is very unique. I follow you on snapchat and seeing Marlowe is one of the highlights of my day. Congratulations! You are doing so well, remember that if you are ever in doubt. What you wrote expresses so much of what I felt during my two unmedicated births. Tears in my eyes. Thank you and Congratulations!! Oh Congrats. A millions congrats! And thank you for sharing is such beautiful detail Major’s birth story. I felt like I was right there with you, with tears in my eyes. No matter how or where our children were born, I tear up every time I read another woman’s birth story because suddenly I’m transported to that amazing experience that was having my daughter. No matter what environment we choose, we all essentially experience some similar emotions and thoughts as we watch our bodies take over and bring our children into the world. Thank you so much for sharing your story in such beautiful detail. He’s perfect. Much love. Thank you for sharing Eva!! You’re vulnerability in writing makes me weep. Love the name. Love the little family. Way to go mama bear. Loads of love and good vibes from the great white North. Everything you wrote, I Felt it! every single detail was so special! You are a very brave mama! All the love, light and blessings for you guys! And I laughed a lot about the tub haha one more thing to tell Major about his special day thought! Tears! I’m seriously so happy for you guys and absolutely loved that you shared this experience. What an amazing birth story. Love. I have never read a more perfect birth story! Thank you so much for sharing something so personal and emotional. I have to admit I cried when you said goodbye to Marlowe because I cried when I had to say good bye to my daughter when I left to have my son. So happy for your sweet little family and can’t wait to watch Major grow along side Marlowe! Reading this brought tears (of joy) to my eyes, taking me back to my very similar home birth experience. What a magical thing to share, thank you – and a big congrats to your family, baby Major is so sweet. Well done Eva! I felt like like I was there with ya girl….congratulations again! Tears of joy are streaming down my face. What a beautiful story. Thank you for sharing, Eva! I have been following your blog, snapchat for a while now and I’m obsessed with your little family. Congrats on making it a family of 4! Beautiful, real and so joyful. Home birth stories get me every time. I feel so much pride in what our bodies can do and I love when people have the guts to share theirs. How did you choose the name Major? Mazel tov! Such a beautiful story. I’d love to hear about how Lowie reacted when she came home to find her new brother! Absolutely beautiful birth story. Thank you for sharing. ? Thank you for sharing such an amazing and personal story with us. 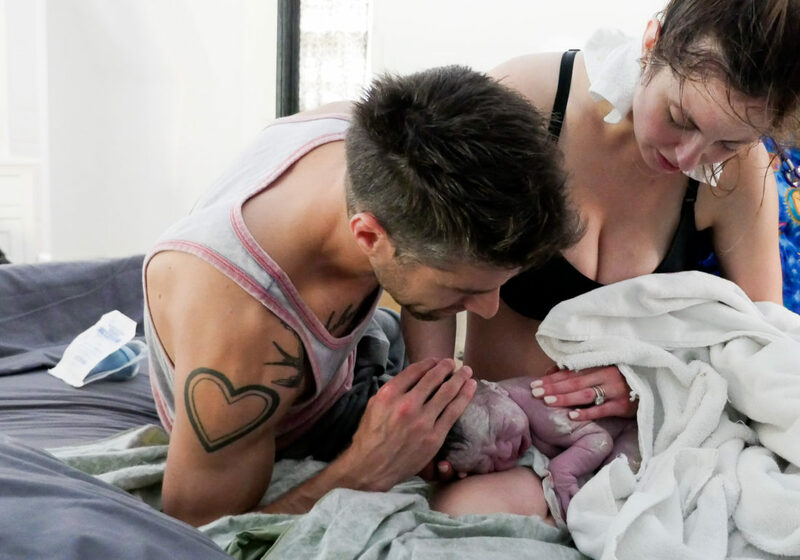 This was such a beautiful birth story! I shed tears of joy for your whole family reading this! It just made my heart happy! It gave me such hope in my struggle to conceive and one day have a family as precious as yours! Congrats on baby Major! That is the most beautiful story I have ever read. Congratulations! Your son is beautiful! What a beautiful story! Today is my daughter’s first birthday and I have been reliving my birth story hour by hour as it happened last year and thinking how special and wonderful and crazy it all was and I have managed to hold it together with all the emotions until reading your story 🙂 Thank you for sharing this and for sharing the beautiful, joyful pictures. Oh you know, I have something in my eyes.. Allergies.Yup. What a beautifully written birth story! The pictures were lovely. Loved. We are newly pregnant and reading this made me think about my own two year old daughter and thought about your Lowie. She looks like such a proud big sister! So adorable ? Congratulations on your complete little family and thank you so much for sharing. Sending blessings to you and your family ?? Thank you for this wonderful post. I’m 16 weeks pregnant with my rainbow baby and this post gave me so much hope and excitement (and tears!) for a similar experience come April. It’s been an emotional journey thus far but I’m finally easing up on the fear and letting the excitement in. Enjoy your beautiful family of 4! Thank you for sharing this with us! Such a beautiful story and I really resonated with your feelings about your miscarriage. After my rainbow baby was born I had similar feelings, like if the miscarriage hadn’t have happened I wouldn’t have my precious baby girl! It was a great healing moment. Welcome to the world baby Major! Such a beautifully written love story. Congratulations to you and your family! I have 2 boys and from experience I can tell you that the love for a son is immeasurable. Well wishes and thoughts are with you! Absolutely breathtaking birth story! I accidentally fell upon your blog awhile ago and continue to follow you on IG and snapchat so when you finally announced Major’s birth, I truly felt as though a friend had been blessed. Thanks for sharing such a personal moment in life with us. I will continue to look forward to your blog posts and your smile worthy snaps. Such a beautiful story and a beautiful labor Eva. Thank you again for sharing your family with us. I wrote birth stories for both my daughters that I look forward to sharing with them one day and I hope Lowie and Major enjoy reading theirs as much as we all have. Awwww I love birth stories!! I have been looking forward to reading this!! I’m so glad everything turned out so great. If only the first birth wasn’t so hard on some of us. I think you nailed it when you said “fear” is what might have kept the first labor from being like this one was for you. It was for me! I couldn’t let go and I burst into tears when they told me it was time. Why? I was a mess. I was terrified. Thanks for being honest and sharing that not everything was rosy with you and Kyle. I know the feeling. I think sometimes men feel pushed aside and not sure what their place will be once this baby comes. My husband and I felt a lot of tension throughout my first pregnancy. A lot of differences of how we wanted things to go. Details you don’t quite think about hashing out before you decide to bring a child into the world. Lol So nice that you were able to do this safely and comfortably in your home. Did Marlowe meet him the same day? What a great story!! I love these pics so much, how beautiful 🙂 congrats and the best of luck. I’m so happy for you all! 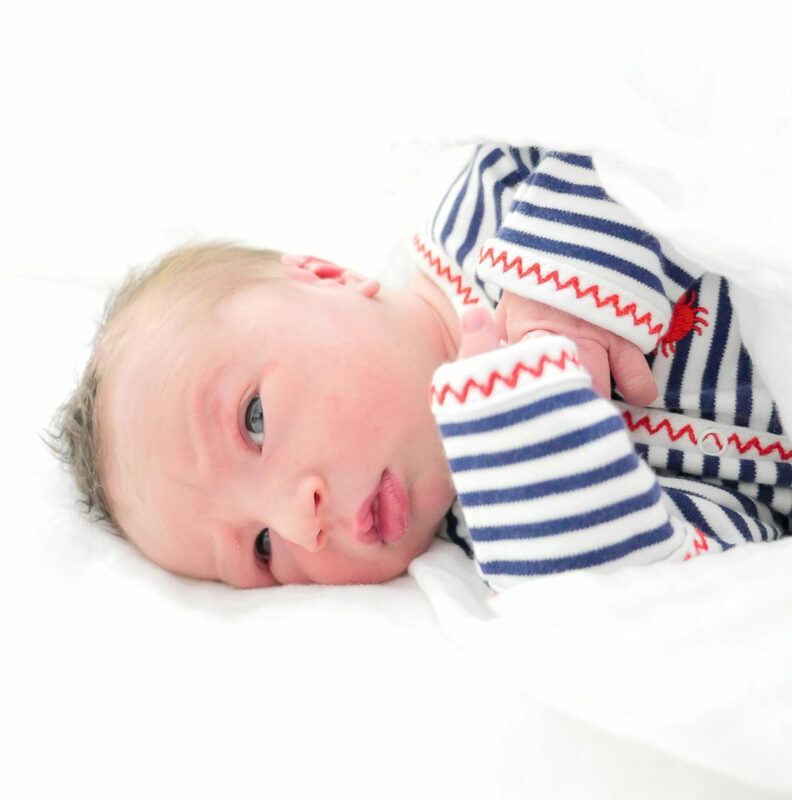 Thank you for sharing Major’s beautiful birth story! I love reading your blog & watching your snapchats. The positivity that you exude as a mother is something I strive for everyday. I have a 2 year old daughter, Haven, who was diagnosed with ALL (a form of childhood leukemia) on March 26, 2016. She has endured 7 months of chemotherapy (and still going) as well as 36 days at Maria Fareri Children’s Hospital in Westchester, NY. Throughout her journey my daughter has held onto her sunny disposition and she is what keeps me a strong Mama Bear. There have been plenty of days that my fear and anger have almost gotten the better of me but then I read something on your blog or see a post on instagram and I am reminded that all mother’s feel pain for their children and it is my job to put on a brave face and know “this too shall pass”. Thank you for everything you do for all of the mama’s out there. Sending love and positive vibes to you and your family. Congrats! Sounds like it was everything you wanted and needed it to be. Your daughter is adorable and I thoroughly enjoy your snaps, and am so happy you have your little boy now as well. Enjoy every moment. As a mom of two teenagers, I can easily say, it really goes by fast. God bless. Yep. Made me cry just like I figured. This reminds me SO much of my son’s birth. So completely different from my previous births to my daughters. The things you described; feelings, thoughts…brings me back to that night 3.5 years ago. Thank you for this! This is absolutely beautiful. Brought me to tears a few times. My birth story was much different but it’s amazing how the emotions are still much the same. Thank you so much for sharing! Much love to your new little love and family. Eva, these photos are SO GORGEOUS! I love the one where you’re smiling afterwards with Kyle and Major. So happy for you and your family; this is a beautiful story. First, congratulations! What an amazing journey. Second, I cried at least three times reading this. We are trying for our second, and after a miscarriage and 10 months of trying, baby #2 seems a long way off. But is such a great testament to hope. Thank you! What a beautiful birth story! This filled my eyes with tears and my soul with joy. Such a special day! Cheers to you, mama! Congratulations to you and your beautiful family, Eva! God bless you all! You are very brave and I m sure you are a great mum! Kisses from Greece and from a mum of 16 years old twins! You are such an inspiration. A good friend of mine just recently had a home birth, so a lot of this sounds familiar. I had a scheduled c-section with my son (I was gestational diabetic, and he is my first so I wasn’t really aware of my options), since it was recommended, I agreed. There’s a part of me that feels a bit disappointed I didn’t get to at least try to have him naturally. I like to imagine I’d be strong enough to do it, and I’d like to imagine it would have gone similar to your birth. I’d love to experience what my body is capable of! This story will stick with me and will be an inspiration to explore my options for my next child. Thank you for your beautiful words! I was tearing up reading this, and thinking of the recent birth of my daughter, and two year old son. It is truly the ultimate human experience. Congratulations, he is beautiful. I couldn’t help but tear up reading your beautiful story. You are a strong mommy! Thank you for sharing this wonderful story with us. Congratulations! What an amazing story! It brought tears to my eyes, for sure. Congrats! He’s beautiful. I have been very anxiously waiting to read this birth story and it did not disappoint. The pictures. The words. The love I could feel coming from deep within the story. THANK YOU for sharing this with your followers. I am beyond happy for you, Kyle, Marlowe and of course, that gorgeous baby boy Major ? Wow! Thank you for sharing such a special moment. How incredible. My son is 14 months and we’re currently planning for #2 soon. My son was born in a birth center – and it was the experience of a lifetime. I thought shortly after that experience that the only way I could improve upon it, would be to stay home for the birth of my next baby. Thank you for sharing your very personal pregnancy and birth experiences. It’s really helped to push me to say YES to a home birth. 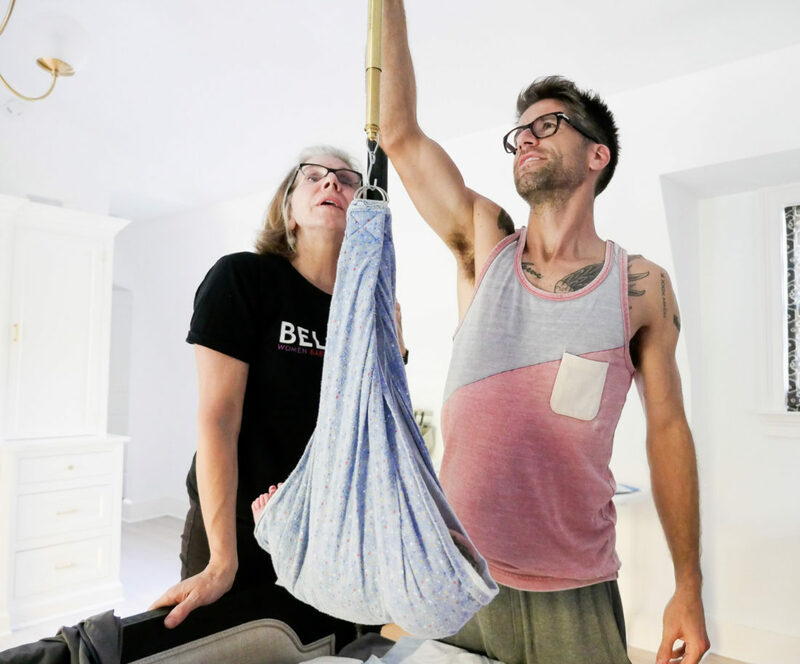 I had a healthy first pregnancy and would love the opportunity to birth at home, in my nest, with my husband – in our cacoon. What a beautiful day, thank you so much for sharing and posting pics of such an intimate moment. You are an amazing mother and an inspiration- I am a new mommy. My son is 5 months old and I love your blog. Wishing you and your family all the blessings life has to offer. I’m due any day now, reading this made me cry, as I prepare for my third baby. Your story is amazing, simply beautifully written. Thank you so much for sharing this with us. This is one of the most beautiful stories I’ve ever read. Moved me to tears. I recently had my first baby (a girl!) just a month before you.. and it was the best day of my life(: I had a lot of doubts and anxiety leading up to her birth, so reading your story really pulled at my heart strings. I’m so very happy for you and your family! Congratulations mama! You did it, again! By the way… my daughters name is Willow Mae. I recently noticed your daughter has the same middle name! I always wanted to pass on a family name to one of my children and I decided on giving her my grandmothers middle name.. MAE(: I had never seen someone with that middle name spelled the same way! So cool. Again, Congratulations and all the best to you and your family! Feeling so honored Eva, being allowed into some of your private space with your sweet family, “Congratulations!”, to you all! It was truly heartwarming, intimate reading, it took me right there with you. What a wonderful, precious gift to give to your children when they are old enough to understand. You tapped into some of my own birthing experiences, with my now 29, 28 year old daughter and son. I journaled both of them and so glad I did. Sadly, I didn’t allow myself to be in tuned with my pregnancies like you, I didn’t know, nor understand really, I was 24 and 25, didn’t have your blog back then lol. I teared up feeling desperately wanting to do it over again with them, to experience a deeper connection, like you did. Women who read your blog about Major’s birth, who are or will be expecting one day will learn from your experience to hold onto every bit, and take lots and lots of photos and journaling, what a wonderful gift you have giving to others by your sharing. My daughter will now benefit by your sharing and I will through her, someday when that day happens. Devastatingly, she had a miscarriage this past Easter, even through that you have helped, Eva. Thank you’, for your openness, and down to earth sharing, you are touching so many lives, including my own. Sending love and gratitude to you and your family. Congratulations and welcome to the world Major! Thank you fir being you. Thank you fir sharing everything about your life. For being so open and honest. As I read your story I smiled and then a flood of tears came. Your life mirrors mine in so many ways and I too had a miscarriage the same time as you and now am pregnant again with half way to go. I feel so many similar emotions and I pray to have the peace and happiness you have found in yore second birth story. Thank you fir encouraging me to be honest and cry if I need to and to let others in. Congrats to you and your rainbow baby! I’m new to your blog and social media and didn’t really know much about you. I’m amazed at what a wonderful spiritual and kind person you are. Blessings to your whole family. Congratulations and thank you for sharing a little glimpse into your beautiful family! What a beautiful story. Brought tears to my eyes and is making me look forward to bringing our little guy into this world early next year. Oh Eva, I’ve just sobbed such happy tears over your son’s birth story. Your experience is what I would have dreamed to have with my 3 childrens’ births but it wasn’t meant to be for me. Hearing birth stories like Major’s allows me to feel some of that joy for you. Thank you so much for sharing. Enjoy these precious newborn days…they go by so fast. Tears flowing! What a beautiful story and what a great gift for your son. Congratulations on your beautiful family! Wow. How amazing! Thank you for sharing such an intimate look in to your life. Including the birth of the luckiest boy in the world! Your an amazing, strong woman! What an amazing birth story! Would love to read a follow up post about how you decided on Major’s name! Congratulations Martinos and welcome sweet Major! Eva, how you look so beautiful only moments after having a baby I’ll never know! ? Thanks for sharing! Oh my gosh, I was holding my breathe right until the moment you said he was born! You are an incredible storyteller and I’m so happy for your family. I loved reading every word of your birth story! My little man (our first) was born just 8.5 months ago and the emotions are all still so present from his birth. Loved reading your story and hearing all your emotions and fears and elated joys, because I so vividly remember mine. Congrats on your sweet little gentleman! What a precious boy! Little Major is as precious as he can be, just like his big sister. What an amazing birth story, Eva! Thanks for sharing it! You two are amazing parents who inspire so may people with your positive vibes and honesty. It’s one of the things I love BEST about your blog. You are always so very open and honest. You do not gloss over the hard and rough patches of life. Again, congrats on Major! I love his name, by the way! 😉 You are lucky to have a last name that goes with a lot of first names. My last name is “Sell” so if I named my son Major, his name would be….Major Sell! (sale) LOL! Carol would not work either….. Carol Sell…(carousel) LOL! Ah-MAZing!! I’m not the least bit embarrassed to say I shed a tear of joy reading this profound story. So happy for you all on the newst sprout on your family tree. I can only imagine how Marlowe must have felt coming home from school as a big sister! Congratulations….& thank you & Kyle for sharing! Absolutely amazing and beautiful story! Thank you so much for sharing this! Beautiful story! Thank you Eva! Oh my goodness. I have been following you since I heard of your miscarriage and was waiting patiently for you to bring your baby boy into this world. I, too, welcomed a second son earlier this year after two harrowing in vitro treatments. So happy for you and your family and thank you thank YOU for sharing your story with the world. Thank you for sharing your amazingstory. I also have fear and anxiety about future pregnancies based off my first. Thank you for Being so open about your experience. You really are an inspiration to all modern day mamas. Enjoy this special time. Beautiful! Just beautiful!! Nearly made me tear up in public as I read this! You write so eloquently! Your words made an impression on me even though I’m not at that stage in my life. Trust the process and have faith. Just beautiful! Thank you! Thanks so much for sharing your story. You have a beautiful family. Love your pictures and Snaps! What a beautiful story. I’m sitting at work trying to cry. You are truely blessed. Thanks for sharing. Congratulations! I loved reading Major’s birth story! I was going through all your emotions with you. What a lovely journey. Thank you for sharing it with us. I remember you writing about the fear of not knowing if you could love a child as much as you love Marlowe, as a mother of two I wanted to reassure you then that you could. It’s easy to tell people but I knew you would have to experience for yourself the fierce love that mama’s have for all their children…and now you have felt it. I love reading your words. Enjoy your beautiful family. I cried while reading because I remembered every second of my birth even had forgotten moments. congratulations and thank you for sharing this wonderful and honest story!! Blessings. Such a beautiful post. I cried while reading about you saying goodbye to Marlowe before she went to school. So many emotions! Beautiful… tears in my eyes with joy, beautiful. Your are the definition of a strong momma. Congratulations to your gorgeous family. Beautiful. Tears in my eyes, beautiful. Your are such a strong momma. Congratulations to your gorgeous family. Oh Eva what a beautiful story! Cried the whole way through. As a fellow mam of two who had natural births in a birth center, I understand just how powerful and what a transformation this journey is. You described it with such grace and reverence. Rock on mama bear! Major is absolutely stunning. Your birthing story was absolutely beautiful, thank you for sharing this blessed day that you had, it sounded magical, I shed tears of joy!!! I loved all the details from fear to sunshine and a ladybug?My favorite picture was the one with all of you laughing and smiling, you had a strand of hair across your cheek, I say that because it’s the only way to distinguish that particular photo from the others! The joy that is on your face is beautiful and so special, what a moment! I look forward to seeing all the milestones in Major’s life along side Marlowe and hers? All the best to your family? I am at a loss for words. So beautiful! Truly the most amazing experience any woman can go through, I wish that this is in my future. If it is, I’m certainly going to think about you and this amazingly told experience. Congratulations! I wish you four so much more happiness!! Love all the way from Uruguay! Absolutely beautiful! I was so emotional while reading this. Thank you for sharing such a special personal experience with all of us. Oh, Eva! This post made me laugh and it made me cry and it is just so beautiful! You are a light in this world, and I am so happy for you and for your family. Welcome, Major! Eva, Congratulations to You and Your Family for being blessed with a baby boy. You are such an inspiring person and strong woman. This birth story is so touching. I wish You great happiness from now on and forever. What a beautiful birth story Eva. I teared up a little reading it, as all of those emotions from remembering my own birth experiences came about. You are absolutely a strong, beautiful, amazing woman and I’m happy you had such a great birth experience this time around. Congratulations to you and your family on your sweet new bundle of joy! Incredible story and beautiful photos! You are a strong woman! Congratulations! Thank you for sharing your beautiful story. I’m surprised how moved and emotional I became. I’m so grateful Major’s birth was such a wonderful experience and that you had amazing support. Your story gives me hope that if I have another child my pregnancy & birth & postpartum won’t be as sad as my first, that it could be healing like yours. I love that the lady bug came to be with you. I believe it was your little baby coming help his mom and brother be safe. Take care and much love to your family. Thank you so much for sharing such a beautiful birthing story. I was so happy to receive the email notification that he had been born. I literally grinned like an idiot even though I don’t know you, I kind of feel like I do. He’s beautiful and I wish your entire family much love, health and happiness. Congratulations to all the family . Thank you to share your beautiful experience with us . I really felt the love and the peace of this special day . Crying tears of joy for you and your beautiful family! I have been so looking forward to reading this,and it has brought back so many memories of the birth of my 2 beautiful babies. Your photos are so honest and powerful and we are so privileged you chose to share them with us. Enjoy this amazing time with your family and I am looking forward to the next updates. Welcome to the world gorgeous Major ? Ah, completely sobbing over here… I had a 38 hour labor with my little girl and baby 2 is due any time now. So I am definitely feeling many of these same fears. Hoping for as beautiful (and quick!) a second round as yours! Congratulations, Eva and Kyle! I am due in 8 weeks and have heard so many terrifying and traumatic birth stories– I can’t tell you how good it feels to read your empowering and beautiful birth story. I’ve been wanting to feel excited about the labor and delivery of our little boy in December and your story did it exactly that. Thank you for being so candid and real about your experience. Major is lucky to be born to such an empowered, strong and emotionally attune mother. Welcome to the world, baby Major! Congratulations, Eva and Kyle! I am due in 8 weeks and have heard so many terrifying and traumatic birth stories– it feels SO good to read your empowering and beautiful birth story. I’ve been wanting to feel excited about labor and delivery of our little boy in December and your story did it exactly that. Thank you for being so candid and real about your experience. Welcome to the world, baby Major! Oh, Eva! Thank you so much for sharing such a personal and raw journey. I am crying (in my cubicle) and am so happy for your beautiful family! Your babies are beautiful blessing; thank you for sharing them with us. Oh, Eva! Thank you so much for sharing such a personal and raw journey. I am crying (in my cubicle) and am so happy for your beautiful family! Your babies are beautiful blessings; thank you for sharing them with us. Beautiful! Thank you for posting this! It’s like that second baby knows exactly what you need. I too had a long difficult labor with my first, but unfortunately was in the hospital where I felt like I had no control of my labor or what was happening. When pregnant with my second I was so afraid it would happen again. They scheduled me for my induction and I feared another long labor where I was out of control. However my little boy came on his own hours before the schedule induction and came peacefully into the world as I always hoped for. Enjoy this special time and that sweet little boy. Thank you for sharing your story with a world of people who don’t personally know you. I found a weird sort of comfort when I read your story of your miscarriage, as I had just lost my baby the week I found your blog. And now reading about the birth of your beautiful baby boy brought me to tears. You are truly an inspiration with your raw posts, and strength. Congratulations! I’m reading this at work and I feel transported. Tears were welling up in my eyes. I could feel the love and the pain and the healing that you went through and it was beautiful to behold! Thanks for sharing your story in such intimate detail. I loved how you called in the ancestors for help and then had the release of recognizing their presence through the ladybug at the end. I am coming to understand that this is how I want to live my life as well. With ‘YES’ in mind, knowing that I am always surrounded by love and ancestors who cheer me on. To live with ‘love’ at my core. I forget this. Thank you for the reminder. Congratulations is an understatement! I feel like you moved sky and mountain and now we are all blessed with a new little life in this world. Well done, Mama! Welcome to the world Major! I cried like a “baby” reading this. Thank You for sharing. Beautiful, simply beautiful. Blessing to you and your family. Congratulations Eva, Kyle and Marlowe on your new addition. 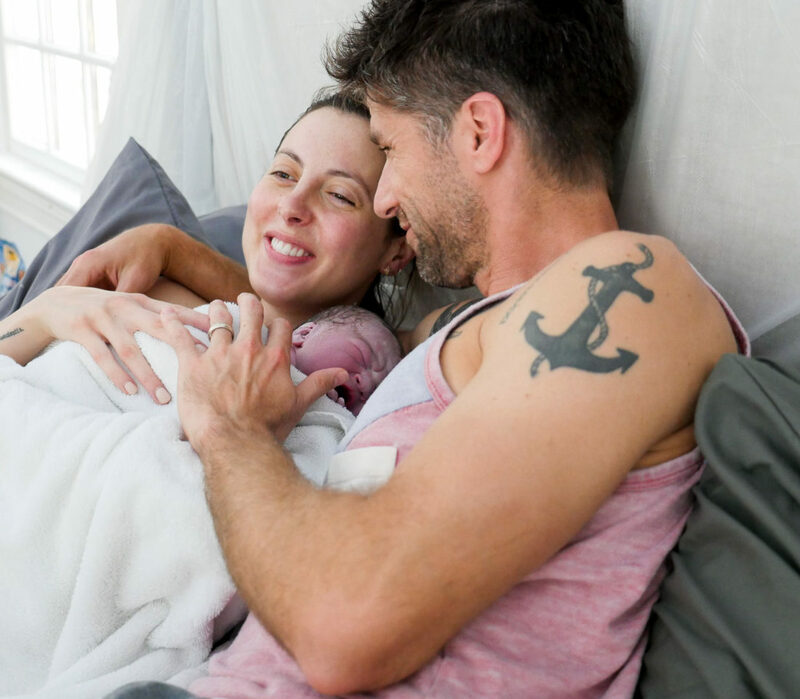 What an inspiring birth story Eva and it was so beautifully written. This is something to treasure and thank you for being so open and honest. Best wishes from Sydney, Australia. I cried like a “baby” reading this. Thank You for sharing. Beautiful, simply beautiful. Blessings to you and your family. Congratulations. What a beautiful story. Love how open you are to share your stories. Feel good. Thank you for sharing this most beautiful and personal story. I cried reading it. It made me remember the birth of my boys with wonder. Congratulations to you and your lovely family of 4! P.S. I know this is not important but you look STUNNING in your pictures above. Congratulation on the birth of Major! Hoping for the next blog entry of when Marlowe met Major for the first time! I began to tear up when you described seeing Marlowe off knowing the next time you’d be a mom of two. I am pregnant with my 2nd child, my little girl is 8 and I can only imagine the emotions I’ll be feeling when I go into the hospital. Thank you for sharing your beautiful story! A birth story is so personal but so joyous and I share in your joy. Congratulations, Martino family! This is an intensely beautiful read. The disconnect with your husband hit so close to home in so many ways. But I won’t go into that because this is Major’s story! The photos are AMAZING. You and Kyle were a true team and your birthing team just a wave of positive energy. I don’t cry easily but WOW…the tears! Thank you so much for sharing such intimate details. It is truly empowering. Congratulations. He is perfect. So beautiful. You make me want to get pregnant asap. That was beautiful! I am so happy for you! This filled me with emotion and made me want to have anot her baby. Congratulations! You are a warrior women! Such an awesome experience. It brought back memories of my son’s home almost 3 years ago. So many similarities especially with my husband who was an amazing support. God bless your family. It’s going to be so much fun. This is a beautiful story! Thanks so much for sharing it and your candid honesty about it ALL. Congrats to you and those you love most. Congrats on your precious newest blessing! I am so sorry about the loss of your second baby, I miscarried aswell and know the heartache of losing a baby and the fear of losing another baby. I also have a rainbow baby and am beyond thankful for her. My labor with her was crazy quick too! I agree, I too felt so powerful while giving birth. What an intense moment! Thanks for sharing so openly on your blog, I think you are writing a lot about things most women can relate to and need to hear to feel they are not alone in this crazy season of motherhood and being a wife. Especially thanks for sharing your sons birth story, what a perfect tribute to him. ? 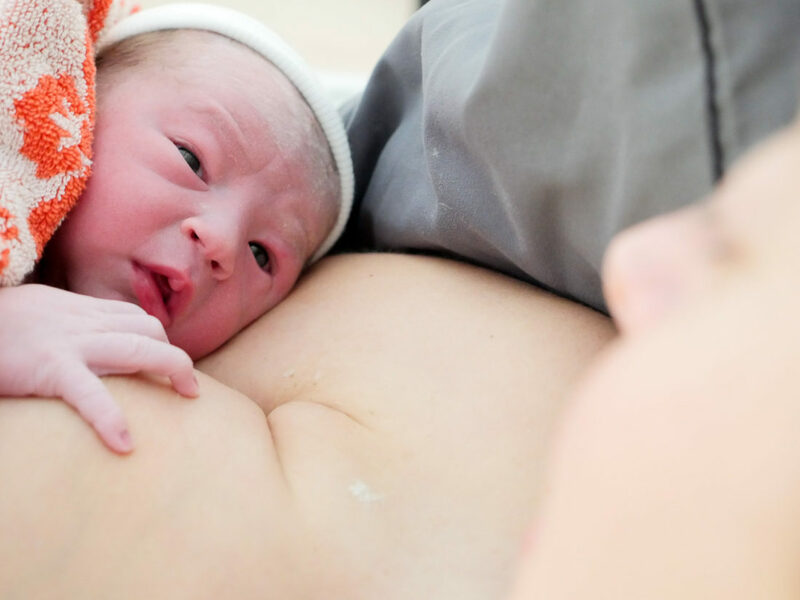 Such a beautiful and heart warming account of your birthing experience. We are privileged to have you share it with us, Eva. Please continue writing. You have a talent for sharing your feelings and experiences in an authentic way, one that resonates deeply. Congratulations to you all, and welcome to the world, Major! What a beautiful story! Your children are beautiful! Thank you for sharing! Wow. What a beautiful and empowering story. Gorgeous pictures. Thank you for sharing such a beautiful and intimate story. I couldn’t keep myself from crying throughout the entire post. I am currently 19 weeks pregnant with my first child, I hope I can be as badass as you when the time comes to bring her into this world. Loved your story 🙂 Ive never had a child myself but I am truely in awe of your strength. Congrats in the new baby he is beautiful. Reading this story I literally sobbed the whole way through. Currently I am 11 weeks pregnant and I cannot wait to meet my baby. Congratulations on your beautiful bundle of joy and thank you for sharing his birth story. I started reading this standing in line at Walmart pharmacy and had to find a corner to sit down and finish. I have two great grands for had home births with the tub and doula. Amazing! Loved your birth experience and knowing we are tied as family made it even more special. What a great post! You literally have all my fears. I’m so scared to have another child. I’m so happy everyone is safe and healthy. Thank you for being so encouraging! Great job, Eva! Thank you for sharing your beautiful story! Congratulations on your beautiful son and your amazing strength! I have been a big fan of yours for years but only recently discovered your blog a few weeks ago after finding out we lost our third baby at about 10 weeks, as I searched the internet on how to deal with a miscarriage. Your story, strength and rainbow baby have given me so much hope! Thank you again for sharing! I was in tears by the end of this. Beautiful & raw emotions! Congrats to your family on your new baby boy. So personal and so beautifully written. Gllad to know that he came into the world happily and safely. Thank you for sharing! You HAVE to write a book. This was so well-written and that it made me look forward to the actual labor-part of having a baby (a first). What a beautiful birth story! Just over here drying my eyes. Congrats and blessings! I just believe all of us women know our bodies so well that deep down we know what will work with us. The beauty of this whole story is amazing. I had to have two c-sections and I dreamt while pregnant with my first son that is how he would be born. I kind of went to the hospital with that mentality and what do you know 24 hours after a hard labor he needed to be taken via emergency c-section. I am so glad your natural way worked out for you. You knew your body, Mama. Way to do you with grace! He’s so beautiful, congratulations Eva. Your story brought me to tears! Wow! What a beautiful birth story filled with so much hope! Congratulations! Thank you for sharing. Congratulations!!! Thank you for sharing your beautiful story. I love hearing birth stories. So happy for you and your lovely family. Hello Eva,I finnish reading your story during feeding my baby boy,3 months old, in the night and I just want to thank you for that, for your honesty and everything. It made me cry. He is my second child,my first born is a 2 years old sweet little girl and I had a lot of similar feelings during his labour, I remember being so scared about the future of my girl if anything went wrong… Fortunately it went great and it really was one of the two best mornings in my life. Somehow I was much more confident and feel more in control over his birth compared to my girl’s. So thank you once again and congratulation to you and your beautiful family! I wish you love,health and happiness. B.
P.S.Please excuse my English,it’s been a while since I’ve put down something that long. This is just too much. Every sentence made me just beam, I am truly so happy for you and your little family. And Marlowe + Major is just the cutest little sibling name pair!! All of the love to you!! I so look forward to your posts. You are a lovely young women and I am so happy for you all. Major is a lucky little baby. Thank you so much for sharing this beautiful and empowering experience. I am expecting my first child, I’m filled with fears, worries and excitement. Your words and experiences are such a comfort for me You truly inspire me!! Congratulations!! What a beautiful, beautiful story. Thank you so much for sharing! Congratulations to you and your family! What an amazing, light filled and gorgeous birth story. Tears spilling down my face. Congratulations on such an empowering and beautiful experience! Thank you so much for sharing such a beautiful story. It’s incredibly heartening to hear how wonderful this experience can be, especially when we hear a lot of horror stories out there and are sort of taught to fear rather than embrace the process. Congratulations on Major! What a cutie! Thank you so much for sharing!! Was so wonderful to read about your experience and really helped me let go of some of my fear of birth! I had my husband read it as well as he was moved! What a beautiful story and experience!! You are such a refreshing reminder to be more present and grateful as a mom. Kel and I are so excited for you guys. Your positivity is contagious! Congratulations! I’m so happy for you! So glad it went smooth and quick. Thanks for sharing, it was so interesting. You are a powerful, brave, beautiful soul. Well done. Everything will be OK from now on. Your birthstory brought tears of joy to my eyes and made me smile while I was reading. I have been following your story and eagerly anticipated hearing how your baby would arrive. The photos are so powerful and full of womanhood. You look so beautiful and happy. Welcome to the world Major! I’m a Mama of two little girls, 6 and 2, and this made me tear up and remember both of my births! Congratulations! ? What a beautiful account of your most precious and personal moment. Thank you for sharing your story and photos. Blessings to you & your beautiful family. Thank you for sharing your beautiful and magical birth story! Your words perfectly captured this sacred day! Much love and congratulations to you, your special son, and your entire beautiful family! Eva, this story is so beautiful! Thank you for sharing such a personal and emotional experience. 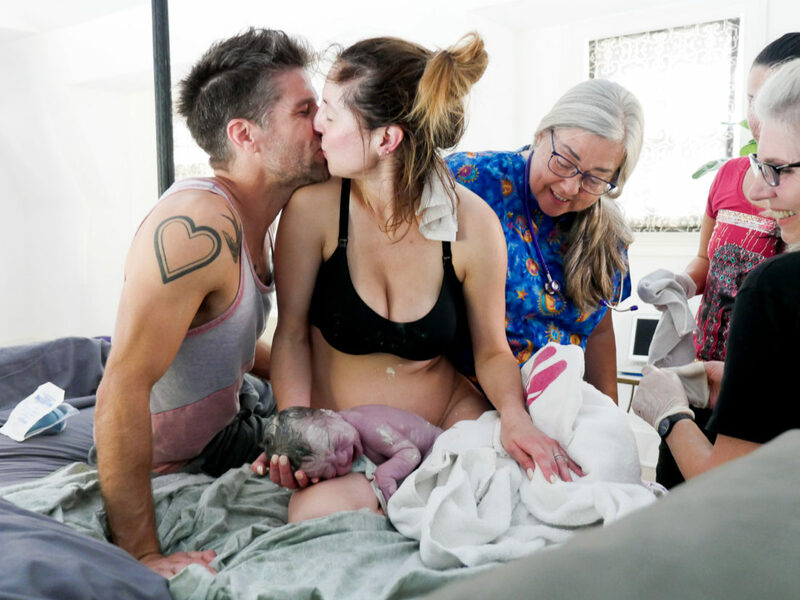 I just love reading birth stories-every one is unique, but they all show how incredibly amazing all of us mamas are. I am so happy for you, Kyle, your healthy baby boy, and sweet big sister Marlowe. Enjoy this special time! Thank you for sharing such a wondrous and beautiful experience with the world. You wrote it so beautifully and tenderly with reverence, awe and beauty. You are brave and awesome. Besides bringing me to tears, what you have shared restores faith, beauty and gratitude. Thank you so much! Congrats! What a gorgeous story! Thank you for sharing! So I just can’t stop crying, so incredibly happy for you. You are a beautiful soul and so strong. Congratulations mamma!!!! ❤️❤️❤️❤️❤️❤️❤️❤️ LOVE IT! Made me cry happy tears! So very happy for your family. Thank you for sharing this empowering birth story! Congratulations to you, Kyle, and Marlowe on the arrival of Major! What an exciting time becoming a family of 4! 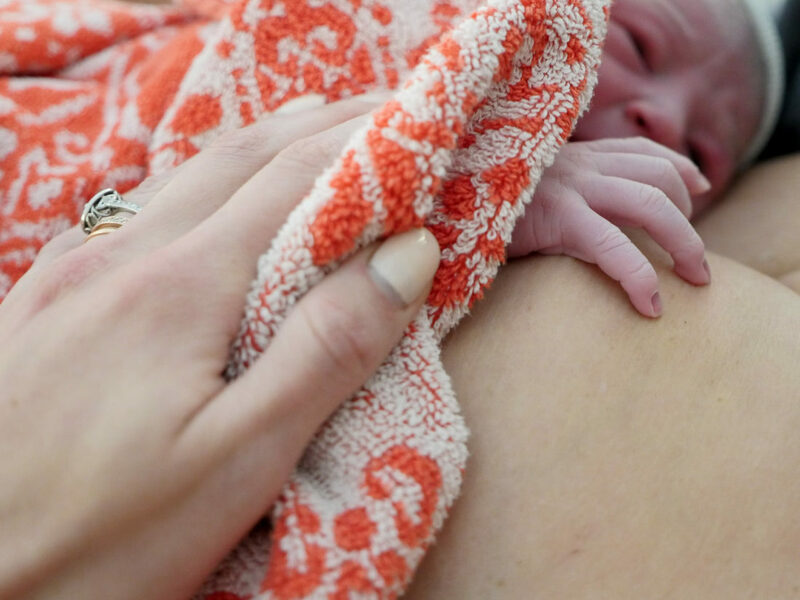 Thank you for sharing such a beautiful birth story and including all the wonderful photos. Major is adorable and you’re one super mama! I always enjoy reading your blog and appreciate your candor and humour when it comes to parenting. I have 2 children approximately the same age as Marlowe and Major and can always relate to your stories. Enjoy all the newborn snuggles and looking forward to reading about your adventures with 2 little ones! What a beautiful story – thank you for sharing it all with us. Major is a beautiful addition to your family. Congratulations & Blessings to you all! ?Eva your story was so beautifully written from the heart! I had tears of joy for you & felt your pangs through the process. It’s amazing how all those fears disappear when you are finally able to hold that beautiful baby & feel all their spirit & know it’s finally ok & feel that pure bliss. Blessings again to your new family! Wow, Eva, congratulations! This is such a beautiful story. Actually, my husband and I are trying to get pregnant right now and he would really love to have a home birth, but I have always been a little fearful of that and told him that I would never be willing to do that. But this story has made a real impact on me… you made me able to see what’s possible, and maybe it’s even more ideal. I am considering it now! Thank you so much for sharing and I can’t wait to hear more about Major! You just made me cry! What a beautiful birth story, Eva! It was a beautiful baby born on a beautiful day to a beautiful and strong woman! Much love to your beautiful new family of four! This is so beautifully written. My husband and I are pregnant with our first son and he is due march 5th. I couldn’t be more calm going in this experience after reading your blog. Life is such a miraical and I am so greatful to be pregnant. CONGRATULATIONS!! So beautifully written! Tears of joy from me to you. So happy for you and your family. Keep writing, you write beautifully about life, being a mom and wife. Congrats, congrats, congrats! What beautiful birth pictures! What an eloquently written story! I wish I could have had a home birth, but was forced to have my 3 kids in the hospital due to my high BP. I am glad this birth only lasted 5 hrs. My (induced) labors lasted b/w 4-6 hrs. My youngest son was also almost born in his sac. Enjoy bonding w/ Major! I hope you include another blog on Marlowe’s reaction coming home from school and seeing her new baby brother and how she’s adjusting to being a big sister! This story was amazing. <3 I am 38 weeks pregnant and waiting patiently for my little girl to start her journey to be with us. We too are doing a home-birth and reading your story was just very inspiring and helpful as I know there's a lot of fears I have holding back labor. Thank you for sharing! Congratulations. Many, many congratulations on the birth of your son! So happy for you and your family. I too lost a child in between the births of my two living children. You have spoken so beautifully about that experience and about coming to an understanding and finding joy again. Thank you for your blog. All good things to you and your family! Seriously love this! Congratulations on little Major! So, so beautiful. Congratulations to you and your family! This was a joy to read. You rock, mama! Thank you for sharing this beautiful moment in your lives. Amazingly! So so cool and inspiring ! Ive got goosebumps!!! Met Kyle a few times in high school when visiting Westport ( thru their mutual friend Jordan Teske) . Became intrigued with your blog after relating to your miscarriage story. So awesome how you are bringing positive attention to this serious and common issue. Thrilled for you and your family! You bring smiles and comfort to my days. Love your birth story. Congrats Eva! What a beautiful story! Your candidness never ceases to amaze me and I am hopelessly addicted to all things Happily Eva After. Congratulations! Major is absolute perfection. Thank you for sharing your amazing story. I have an almost three year old, Elsie and we just had our second, Winnie, in April. It’s the greatest thing in the world. Both natural births, sounds like you might of taken the Hypnobabies course too? Congrats again! What a beautiful story! Congratulations to you and your family on your newest addition. Your strength is inspiring. I’m due to welcome our third child, a son, in another few weeks, and am in awe of your sincerity and strength! Enjoy every moment and know that Marlowe will be a mirror of you and be a wonderful big sister to Major. Wow. So incredibly beautiful. Thank you for sharing this beautiful event. It helps me to believe in love and reminds me to cherish life. You are a warrior and this birth story was inspiring and amazing! Welcome Major! You have a beautiful family! Thank you for sharing. I’m so amazed with your strength and poise. You opened my eyes to a whole new perspective on home birth and I think it’s incredibly inspiring. Thank you for sharing and always being so honest. Your story was just so beautiful and I am so pleased everything turned out beautifully and you are both healthy. You are right in saying how quickly you can forget certain things when in labour as now I do remember being nauseas and being sick. My son was a little slow as being in labour for 24hrs then told that I needed an emergency C section due to him not being able to come down any further and at the last minute his heart rate rose and was in stress. Finally a C section which I didn’t want but knew for both of us it was reality he was born safe and sound. My son, Thomas whom I named after my dear Dad was with me. Thomas is now 25 and a Paramedic. Sadly my partner who is a top Specialist Dr and I separated when Tom was 7, and life has been hell raising him on my own and struggling as I was not married but with my partner for 13 yrs, he obviously had another partner extremely quickly and they have no kids and live a high profile life as narcissistic people do. My only wish was to be able to have more children and especially experience birth again. I am 59 and worked as PR sales and marketing for major film releases including Australian Films but at my age struggling to get any work. Maybe I should be a Nanny as I love children and have a great sense of humor and witty with nothing holding me down as I live on my own. Congratulations to you as a family, relax, smell the roses, ladybird ???. ????? Thank you for sharing your precious experience with us. My daughter is having her baby, due January 16th, I will be by her side. This helps me understand how it might be with our Henry coming into the world! Yes, I’m going to be a Grandmother, I’m thrilled with anticipation? I love him already! Congratulation ! Thank you so much for sharing your story. I felt so connected to you as it is similar in some aspects to my story. When I read about all your feelings during pregnancy and after giving birth I thought that this were exactly my feelings . That is amazing, I don’t even know why I came to visit your blogg. I never heard of it before because I am from Germany . Like something guided me . Thank you so much ! I’m deeply moved reading your story, your beautiful journey. Thank you. I had my three in the hospital and I felt pangs of sadness and awe that I didn’t choose (or frankly, consider) at-home birth. It would have been dangerous for my last child, but it certainly could have been an option for the other two. I won’t wallow in what could have been, but your story brought up memories of the negative aspects of being in a hospital setting. Anyway, thank you for sharing your story. As someone who has experienced several miscarriages (a twin to my oldest and a loss in the fifth month of another, among them), your recognition and understanding of your miscarriage and the child you briefly carried is beautiful and true. It brought tears to my eyes recognizing similar feelings. Thank you for sharing your family journey. It was a privilege to read. Best to you and your beautiful, beloved family. Thank you for posting this! Congrats on your beautiful son!!! Thank you for being so honest about your journey with your miscarriage. I just miscarried yesterday, and stumbled upon your blog in the midst of my tears and grief. Like you had mentioned besides grieving the loss of my sweet baby I feel like I am left with fear. And that my own sweet Marlo will be an only child Bc i am afraid I will lose again. Reading your posts on your miscarriage and now the birth of your baby boy is so healing and hopeful. Thank you for being so honest and open. So much love to you and your beautiful family! Such a great post! Congrats to you and your family! Major is pretty amazing! I cried a little when I read the story – You are so strong and so lucky to have such a beautiful birth. Thank you! Congratulations on the birth of your beautiful son! I cried as I read your story… So touching, so moving! Every story is different, every birth is different, but I just love how you wrote YOUR story, and made us part of your journey. Thank you for sharing. Best wishes of joy and happiness to the whole family! Thank you so much for sharing your beautiful story. You inspire me to be a great mama one day! What a beautiful, breathtaking and stunning birth story and group of photos!! I had chills the entire time I was reading it. Thank you so much for sharing this story with us, Eva! You are so incredible and I hope that I can be as strong and brave as you are when I have kiddos one day! Congratulations, again on baby boy!!! thank you for sharing your birth story. so cool about the visit from the ladybug! I never leave comments but this was such a powerfully written piece that I just wanted to say thank you for sharing. I literally bawled my eyes out reading what to me felt like such a similar experience to my own 2 labours. Thank you for putting it down in words and helping me relive my special memories. Hi Eva, I stumbled across your birth story on the internet as I’m a fertility acupuncturist and postpartum doula in the NYC/CT area. What a great story. Reminds me a lot of my 2nd baby’s birth–many striking similarities. His was also five hours from start to finish. I had the same feelings of angst about loving a #2 the way I loved my #1. I was told when pregnant that I had enough love in my heart to divide & multiply, but you really can’t believe it till that second baby is born (and you feel that explosion of heart love <3). While I had unmedicated births with #1 and #2 with CNMs at a freestanding birth center in NJ, we had a homebirth with #3, our daughter, and it was divine. You will always smile externally & internally when you reflect back upon it. Hope you are healing well and resting and all that good stuff. Peace! I love reading your birth story, Eva! I had a short five hour labor with my daughter last December. Our stories match almost exactly. I labored four hours at home, then we arrived at the birth center and my daughter came fast and furious 30 minutes later. My doula told me to do the same thing with the low groaning during pushing, although the last push I couldn’t help but scream :). So nice to hear stories like yours and congratulations on your beautiful family! Omg what a birth story! (thanks for making me cry at work) as I was reading the story there. I added you in snapchat a while ago and watching your videos of you and Marlowe and Kyle (thats my nephews name by the way & love it haha), and on instagram and on twitter, I feel like in some way I know you even though we’ve never met and never will, but i have to say that I started following you bc we have a lot of the same interest and you seem like a good person/friend who would give great advise (reading your blogs is like you giving me lots of advises). Anyway I wanted to read this blog in particular since you’ve shared everthing from the beginning. When you said the “Home birth” part I thought it was interesting in the way that I’ve never known anybody who has giving birth at home. I’ve seen it in the movies and on tv but reading your blog it gave me a different feeling about it. Dont know how to explain but it gave me another outlook on the whole home birth thing. I’m not a mother yet, but planning to in the near future & this gave me a lot to think about, not saying I want a Birth at home (somehow it scares me a little well the whole birth process is scary ) but it made me aware of other choices i have for when the time comes. I’m super glad everything went great with the arrival of Major. I love the Photos of him and Marlowe that you have posted but you still owe us that blog about when Marlowe met her new baby brother. Well I hope everything continues to go great I will keep on watching your snaps, I know you must be very tired right now but the adventure of beign a mother of two I bet it will be a great joy in all of your lives. Thank you for sharing your beautiful birth story. It made me so envious (neither of my children’s deliveries went smoothly). Congratulations ? This is the first time I have come across your blog. Absolutely amazing story and stunning pictures. Congratulations. What a beautiful story – thank you for sharing it! My wife studies home birth as an anthropologist, and I love hearing about all the different ways birth is experienced. Congratulations to your beautiful family! Hey, there’s Cathy! She’s a great midwife. One of my favorites for my kids. Very calming. Congrats to you all! Thank you times a million for sharing your story. I’m currently pregnant with my second and am determined to do things differently this time around when it comes to the birth. Your story is incredibly inspiring and shows us just how strong women are. We give life! And it’s a beautiful thing. This was a beautiful read. I’ve always known that I wanted children in an abstract sense, but I’ve always dreaded the thought of being pregnant and giving birth. But reading your post, I just have an overwhelming desire to experience child birth as you’ve described it. Thank you so much for that gift! Absolutely beautiful. I had tears in my eyes from start to finish. Birth is a magical experience. Thank you for sharing your birth story. Major’s birth story is written with such honesty and vulnerability. Very touching to read. The pictures are beautiful and heartwarming. What a beautiful birth story! Congratulations on the birth of your precious son, Major! Those are my beloved midwives. I gave birth to my daughter Wilhelmina (Willa) on 3/25/15 in our home with Cathy & Susan. I also had a miscarriage at about 9-10 weeks that JTB guided me through. 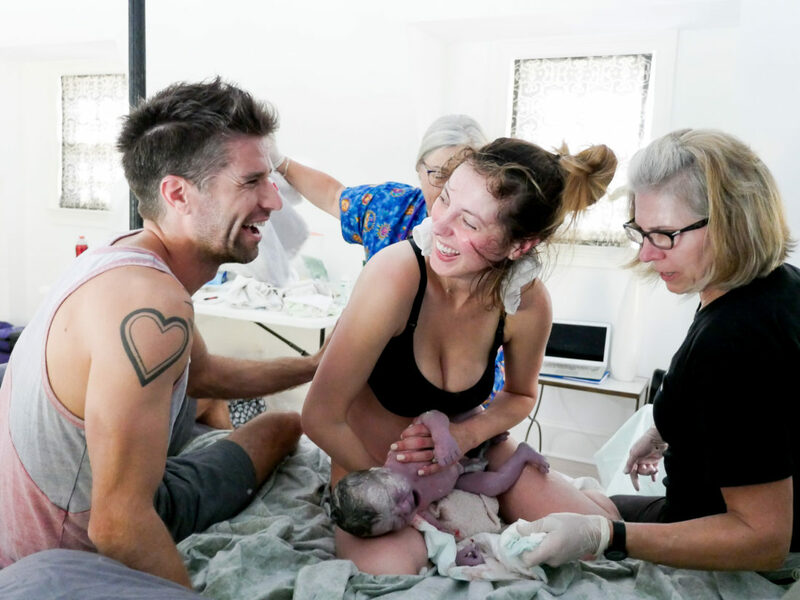 It was, indeed, a journey to Willa’s birth and I will forever be grateful to the friend who convinced me to trust my gut and go for the homebirth. Ah, the sweetness of the moments after birth, when you realize what you have done and now, you can be surrounded by family in the comfort of your own space. Congrats! This is beautiful. It sent me into tears. I am not a mother but I have all your fears and this sent such a wave of peace and love over me for the future and what bringing life into this world means. Thank you for sharing your wonderful birth story and the photos are precious. Satya told me to read your story ?✨? I’m 31 weeks and planning a natural birth every January. I loved your story. Every detail. Congratulations on Major ? Sending LOVE. Thank you thank you for sharing your strength and magic. Congrats!! I saw the picture on Instagram, and then I read THIS… It amazes me the emotion, the passion and the love you put on this post. You somehow managed to show the love you have for your son, and at the same time, tell accurately how hard (and relieving) is delivering a baby. Wish you all the best. I think you are amazing. What a wonderful experience. I have to tell you, though, the pain was too much for me (or so I thought). Looking back, I kinda wish that I would have worked a little harder to forgo the meds. Again, you are amazing. Congrats on your new bundle of joy. Omg, Eva, you are simply amazing. As I read your blog, I find myself with tears coming down my face. You are so strong! These images and your story is so beautiful. Kuddos to you for doing a home birth. While it may not be for everyone, you documented it in such an amazing way. Major… Damn straight MAJOR! You are major and I am in awe. Congrats to you and your wonderful family on the birth of that sweet baby boy. Welcome to the world Major!! ❤ Thank you for sharing your world with us, Eva! This was so beautifully written. Everything you do is with such positive energy and love. I wish your family all the love and happiness in the world. I hope that I can live my life with an open heart and love like you do in sharing your life with everyone. This was a joy to read, and thank you for sharing, and congratulations! I am due to give birth any day and I came back to read this story again for inspiration. I’m so glad I did. I also had a long, hard labor last time and have been struggling to clear negative and fearful thoughts from my mind heading into this. Reading about your similar thoughts and your ability to embrace and accept your labor as it happened is reminding me to do the same. I am feeling much more confident! Thanks! How beautiful and blessed! Congrats! Congratulations what a beautiful birth story and baby boy!! Just wondering what cream/lotion did you use and recommend to eliminate or prevent stretch marks? Thanks in advance for the advice! This is so most beautiful birth story I ever read! So full of emotions and love! My first birth was in a hospital- for me it was horrible. so many people, I didn’t know the midwife, so much hecticness. I would love to have a home birth, but still I am anxious to manage all this without medicine because you never know what will happen. For my next pregnancy I hope I will feel the same safety and strength that you did to have a wonderful home birth! I just happened upon your website. Wow! What a beautiful story of birth. I have 3 beautiful children birthed on my terms with an amazing midwife and doula. I wrote my story with each of them and it’s interesting to compare with my doula’s written version. We remember things differently as we experience them differently. Kudos to you for being an amazing mama bear and trusting your spirit. Love your story. Keep writing, you have a talent. Thank you for that beautiful story! It really took me back 18 years to my daughter Chloe’s birth. Every feeling you described, right down to the “ring of Fire” and then feeling like such a strong woman. I wish all women would chose to do it naturally because the feeling is just so awesome! Enjoy your babies and thanks for your lovely story! What a beautiful story, thank you for sharing. It makes me excited and emotional anticipating the arrival of our baby. I just wanted to say thank you for sharing your beautiful story of the birth of your baby boy. Almost a month ago, I was ten weeks pregnant when my husband and I went to have a routine ultrasound and unfortunately we found out that our baby’s heartbeat had stopped. The following week I had to get a D&E and ever since, I’ve been grieving our loss and also fearing the “unknown” of our future family. My husband and I want to have a happy and healthy baby, more than anything, but having a miscarriage has made me worry that it might not be possible for us. Today I came upon your blog and read your story and you gave me a GREAT deal of hope and I’m feeling more positive about trying to get pregnant again – so thank you! I wish you and your family the best! Beautiful story! I just had my second child too, a girl, 7 weeks ago, also born en caul!!! I delivered in a birth center and the labor was quick so I am strong my considering a home birth for baby3! I wish we had pictures of her in the sack. I have heard that our babies are good luck, will win the lottery and have a 6th sense lol! Beautiful mama, baby and hubby! I had my children at home in the 90’s and still feel invincible… on most days ha! All the best to you and yours! Thank you for sharing your birth story! I’m encouraged by women all over the world choosing to do a birth with no interventions. Go mama! I’ve had three boys this way and wouldn’t trade it for the world. It’s stories like this that need to be told to other parents-to-be. Eva this is so beautifully written thank you for sharing with us what was so private and so utterly amazing live your family and the realness you bring in to your blog and your stories. Eva, this is such a powerful and beautiful post. I cried so much reading this. My son was born almost 7 months ago by c-section, I find it very hard to find my own power and strength in his birth story due to everything that happened that day that was nowhere near my plan. I loved reading how incredibly powerful, natural and beautiful your experience was! So beautiful Eva. It made me cry. I am longing for a second baby but also anxious as I had a very difficult birth with my daughter. It left me quite traumatised. I always assumed that I would have a smaller age gap than I will (hopefully) have but the fear of another birth put me off for a while. Your post has made me feel stronger. Nothing as strong as women! I read this last year when you posted and just re-read it again. I’m 32 weeks pregnant with my third and already have some anxiety about upcoming labour. This was just what i needed to hear right now, so beautifully written and inspiring. Thank you for sharing! I just read this beautiful birth story and thank you for the raw honesty. I have three children and being married to a doctor, I could never entertain a home delivery. I wished at least I had tried once. Nonetheless, reading your story I feel like I’ve shared the experience with you as you tell us details so vividly. Your family is beautiful and I wish you continued love and blessings. Wow! So emotionally powerful! I’m sitting here crying. That is the most beautiful birth story I’ve ever heard. What a lovely environment in which to say: Welcome to our family; welcome to the planet! Major still has the same look! I think it’s the eyes, but I’d have know it was him. Eva, such an amazing story ,when we give birth we are sooo the universal mother and we tap into the univesal power, our reptilian brain takes over. When we have a natural birth. Sooo well done i loved reading you and feeling all your emotions, talking about natural birth , i gave birth to my 1st child , a daughter, Amicie in Zurick , we had just moved there and i didn t know the language, no epidural, huge baby i was so worried that they might take her away before i could have her skin to skin on me that i ended up pulling her out myself.. i looked up , 7 midwives and doctors german speaking and staring.. 🙂 ah, the universal primitive me had taken over :), what a blessing it is to be a woman and a mom , so well done Eva, harnessing your beautiful strength and power and love in those precious moments. Thanks! .Love .Laure. I’m 37, almost 38 weeks pregnant with my second child and wanted to reread this birth story again as inspiration for my upcoming labor. I was in happy tears the entire time. Thank you for making me excited and get all the feels for going in to what I was beginning to feel nervous about (knowing what is coming (kindof)). I appreciate your honesty and sharing this special moment in your family’s life. I read this post for the first time the other day and wanted to comment and then I just saw your insta post and decided I had to. I literally sobbed when I read this post. So amazing and beautiful!! I think my girls are exactly the same age as your children and I remember my labor and deliveries so vividly. They are my favorite stories and now I’m inspired to write them down so I can always remember them as vividly. I got to Major’s birth story from your new post about saying goodbye to your house, which I also cried through, haha. My parents are selling their house. They moved in a little over 34 years ago right before I was born. Our memories there are endless. My husband and I had our wedding there under a big white tent in the backyard. It will be so hard to say goodbye but we will. And, we’ll cherish every memory made there forever. Thanks so much for sharing all of this.